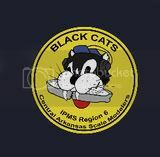 IPMS Chapter of the Year: Officers are working on write-ups of club activities for Chapter of the Year. By-Laws: By-Law amendments have been emailed to club members for review. They will also be posted on the club facebook page. 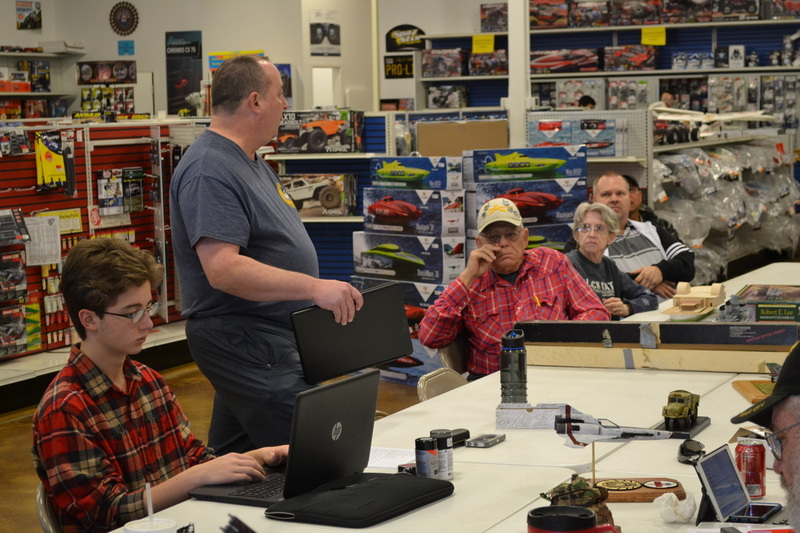 The amended by-laws will be voted on during the April meeting. 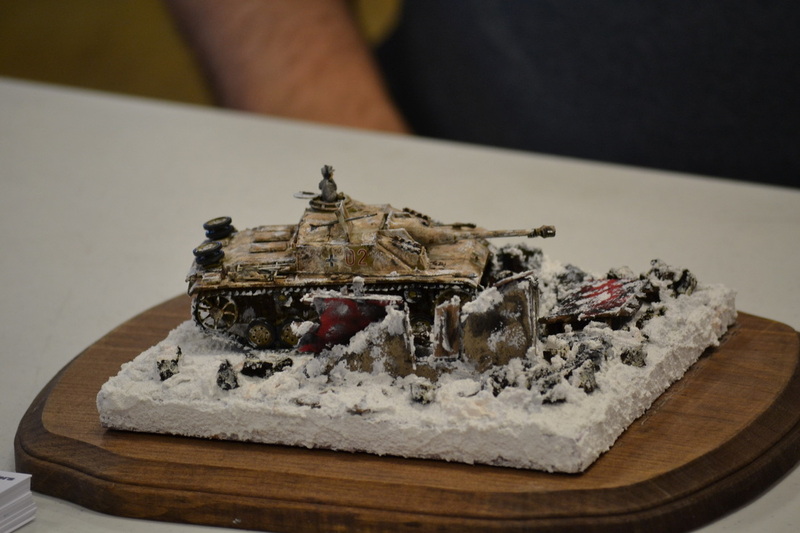 IPMS Nationals: After careful consideration from the EBoard, CASM will not pursue hosting the IPMS Nationals at this time. Atalanta AMPS: Mike Warren, Ron Leker, Ken Childress, and Rusty Nail attended. Brent Bristow entered pieces by proxy. 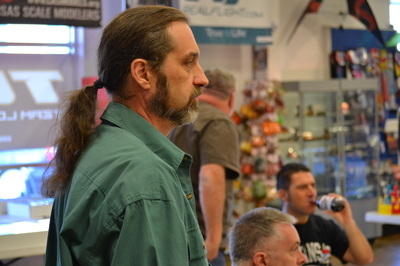 Each member walked away with at least one award. San Antonio Model Fiesta: Ray Smith, Bob and Mona Hiat attended. 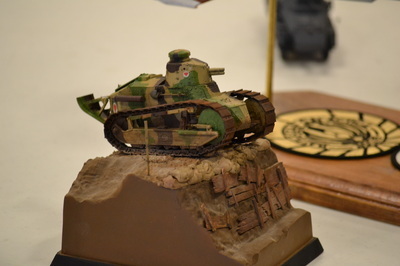 Mona and Ray won awards. 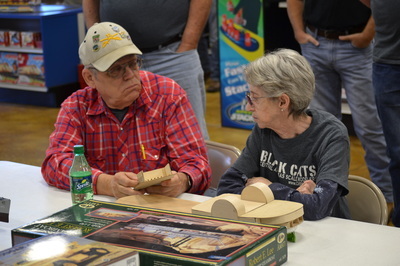 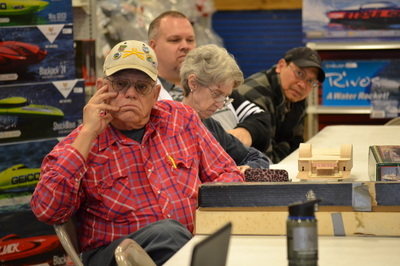 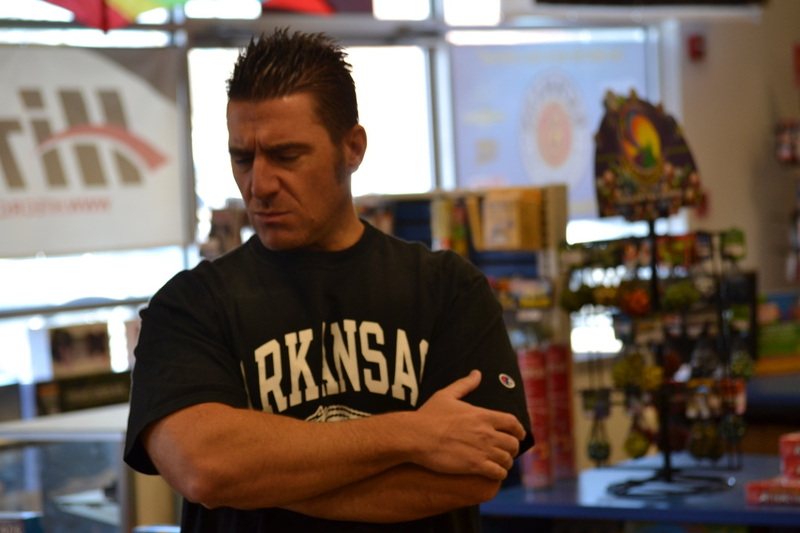 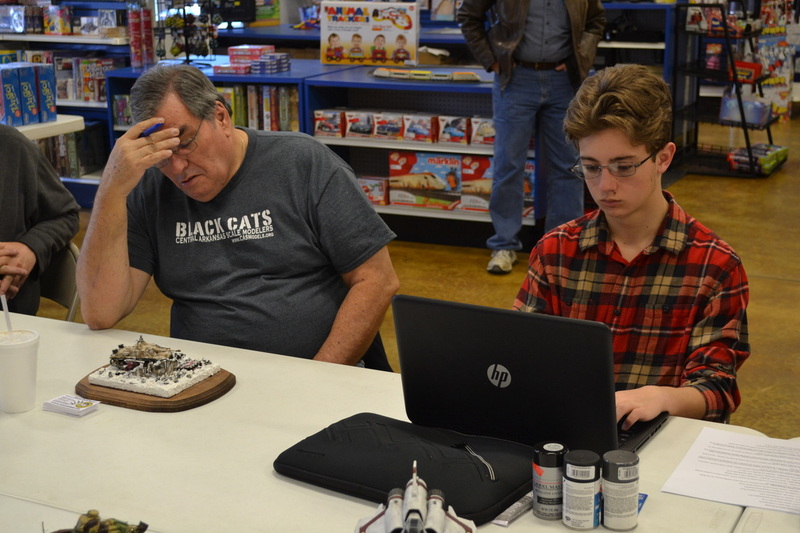 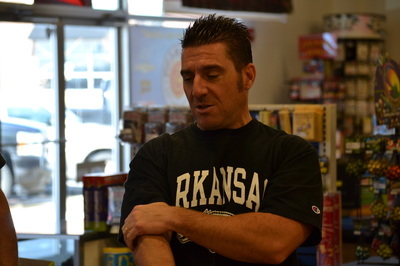 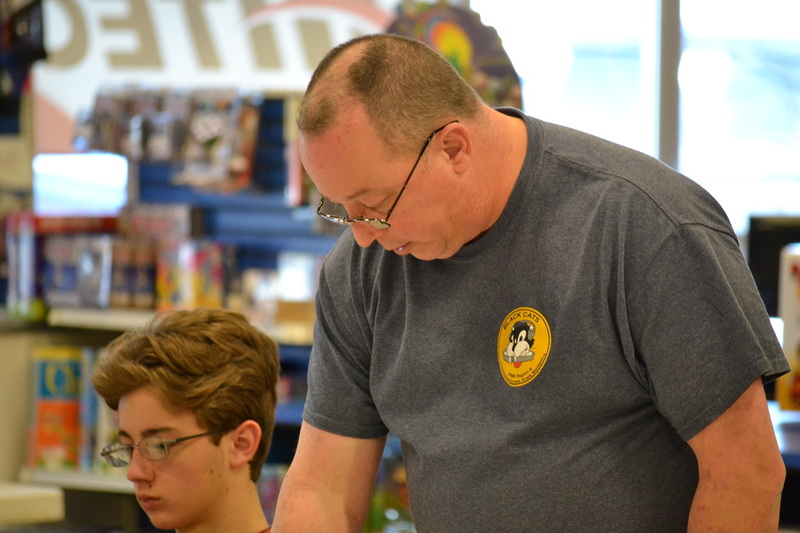 The Arkansas Model Championship is not taking place this year. 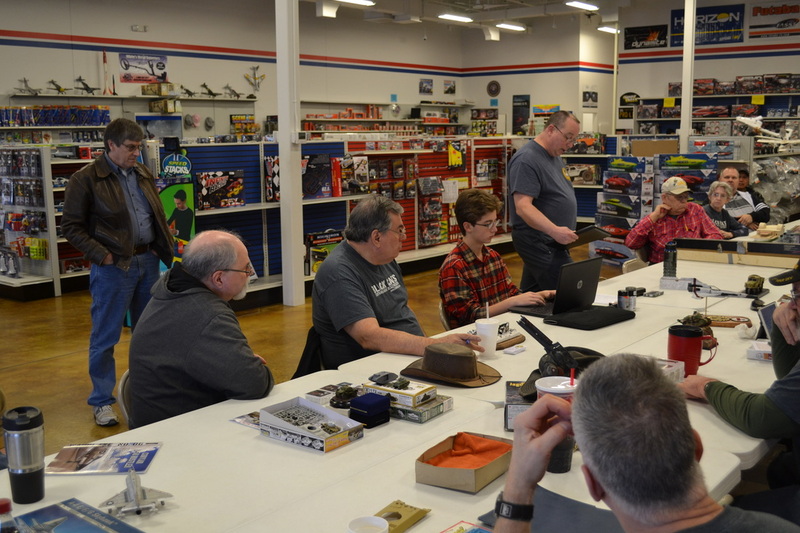 IMPS Chapter of the Year- The E-Board is gathering necessary information to submit CASM for IPMS Chapter of the Year for 2014. 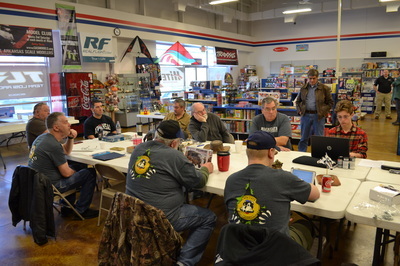 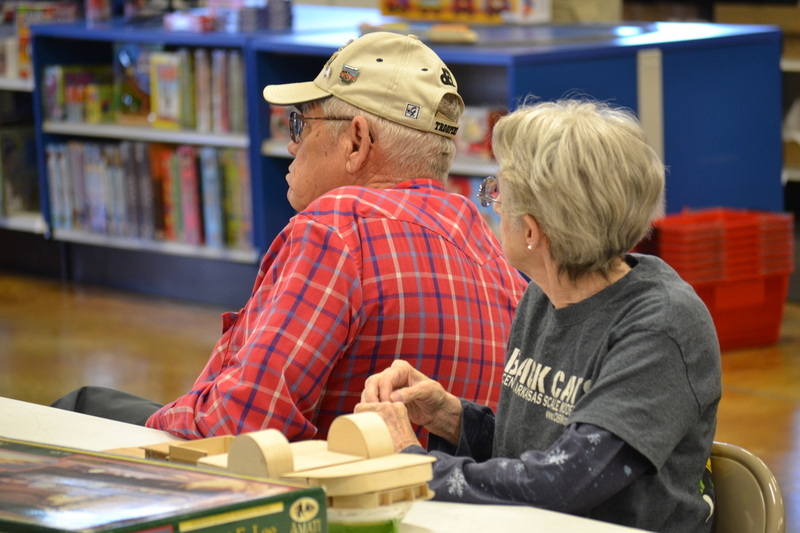 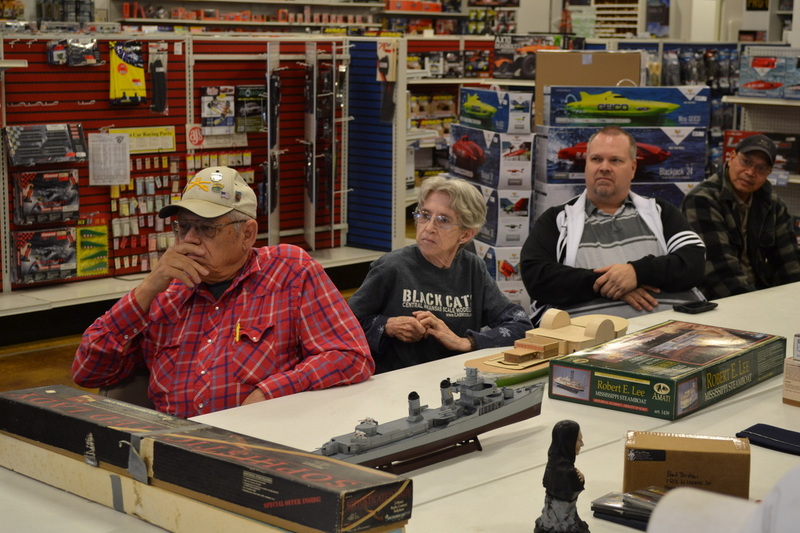 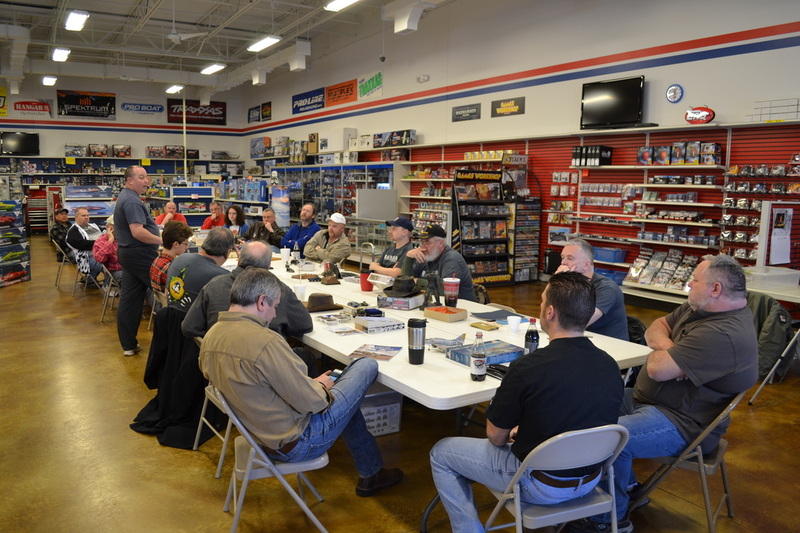 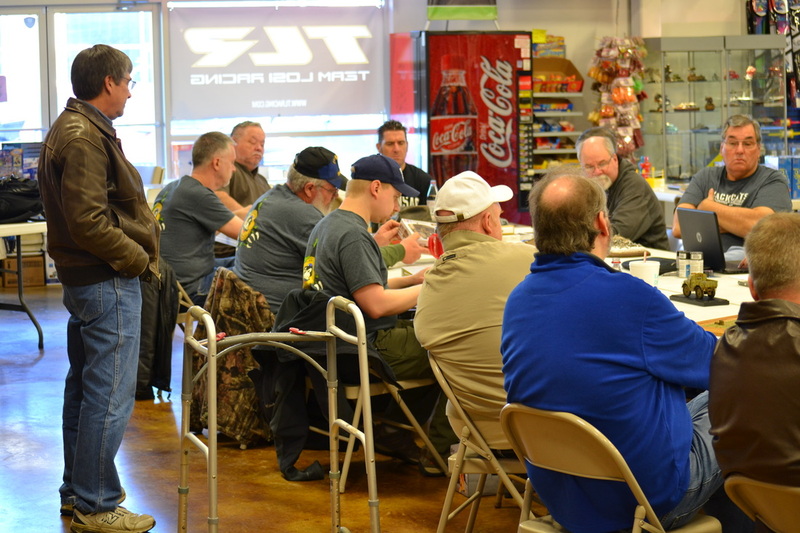 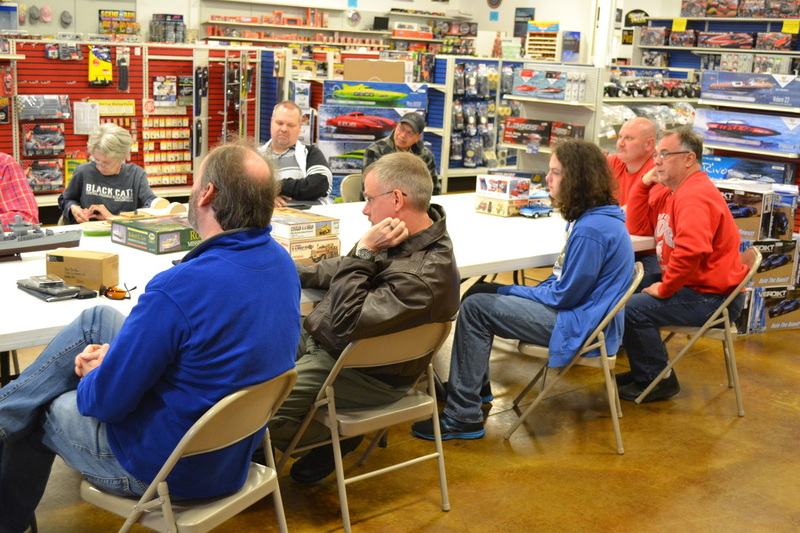 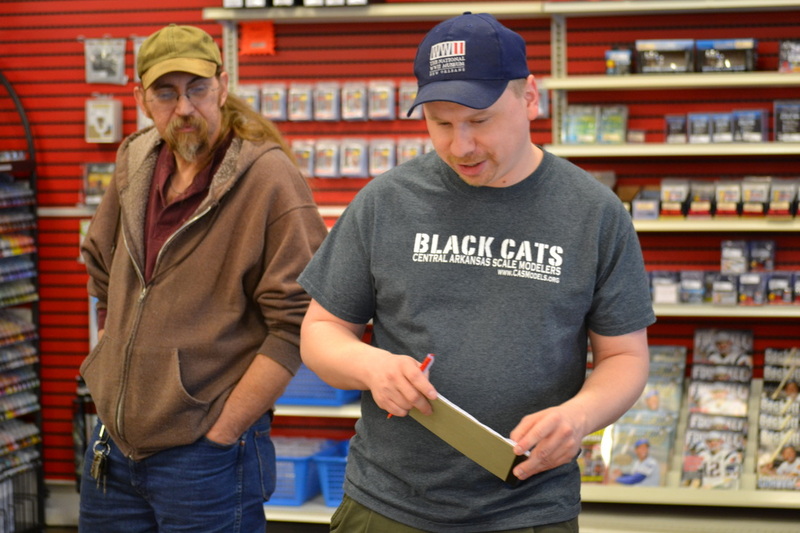 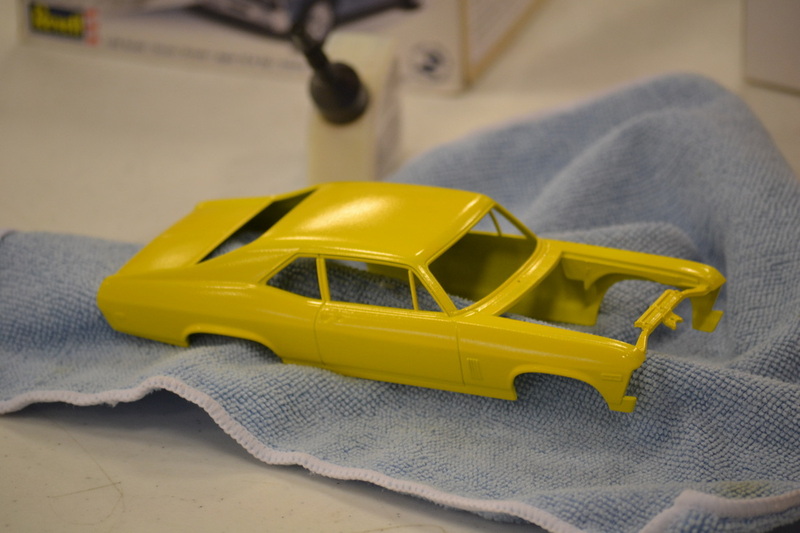 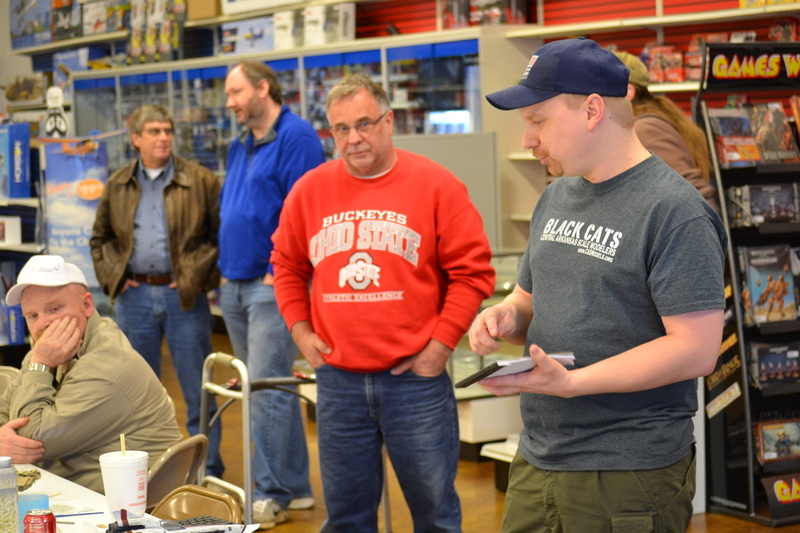 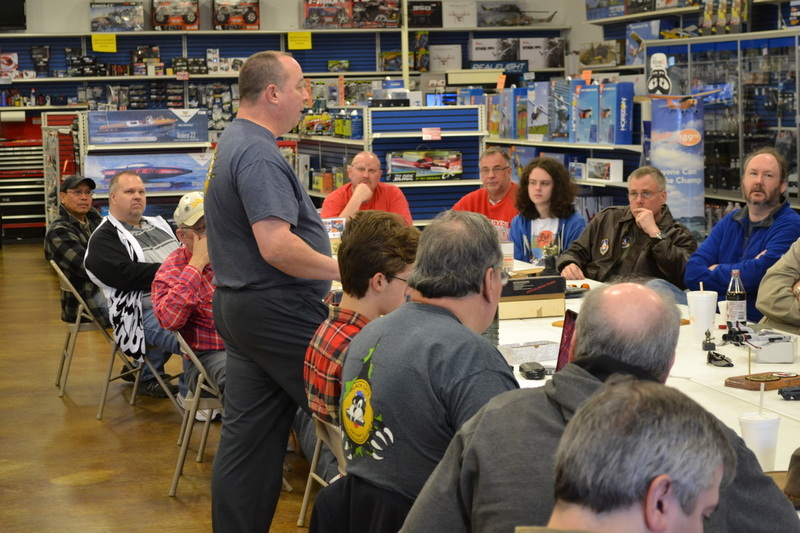 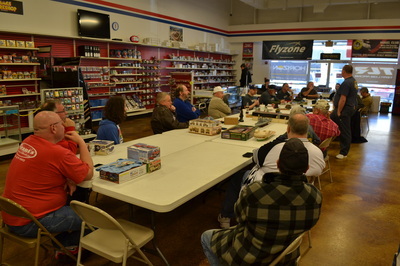 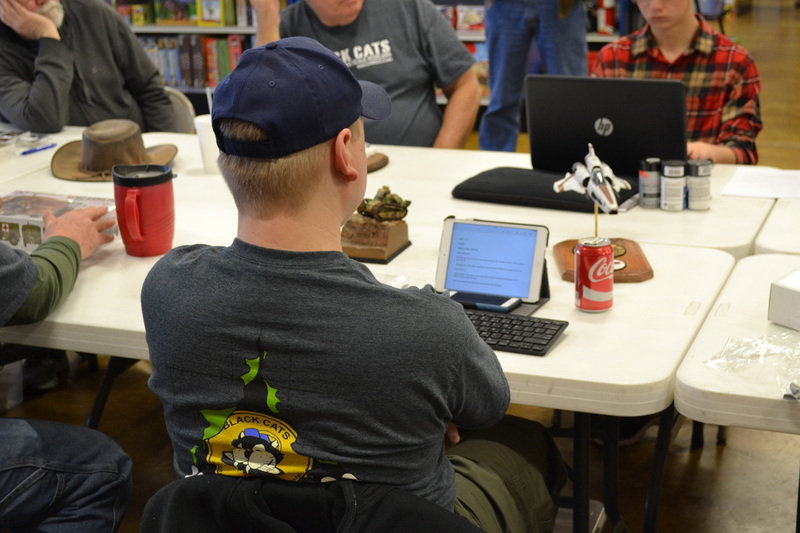 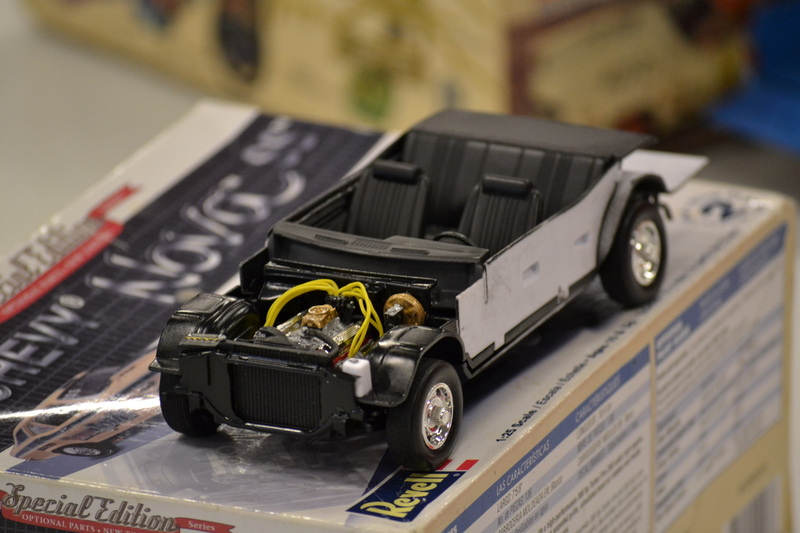 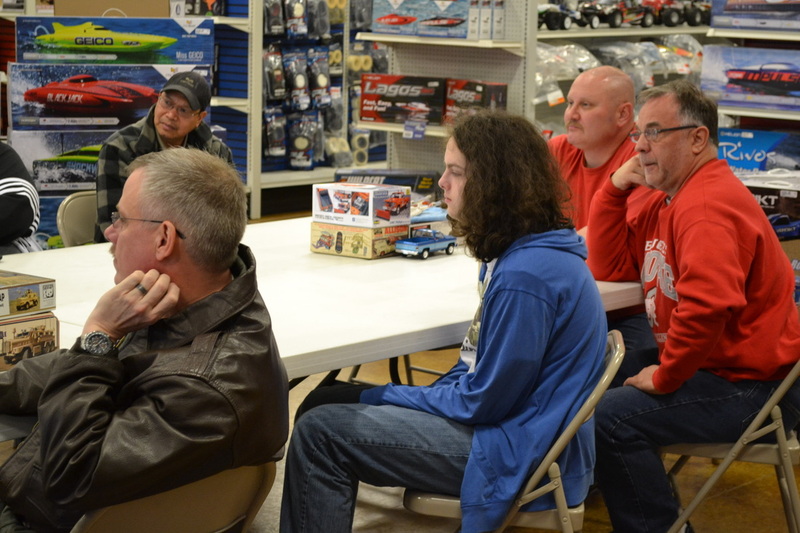 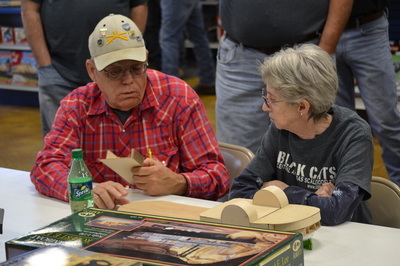 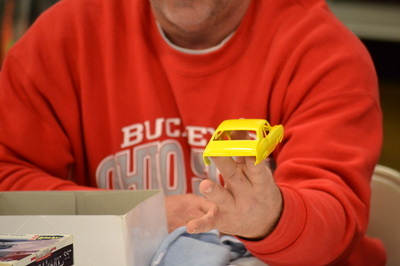 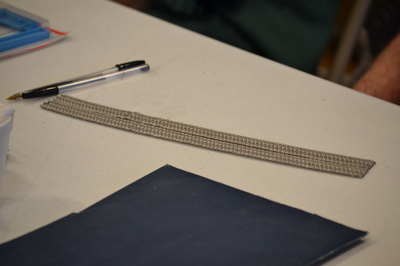 CASM Build Day - The club will host a build day following the April 12 meeting. 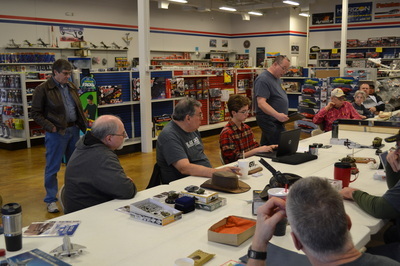 Bring a project and some tools and feel free to hang out after the meeting. Lunch will be provided for all who attend. 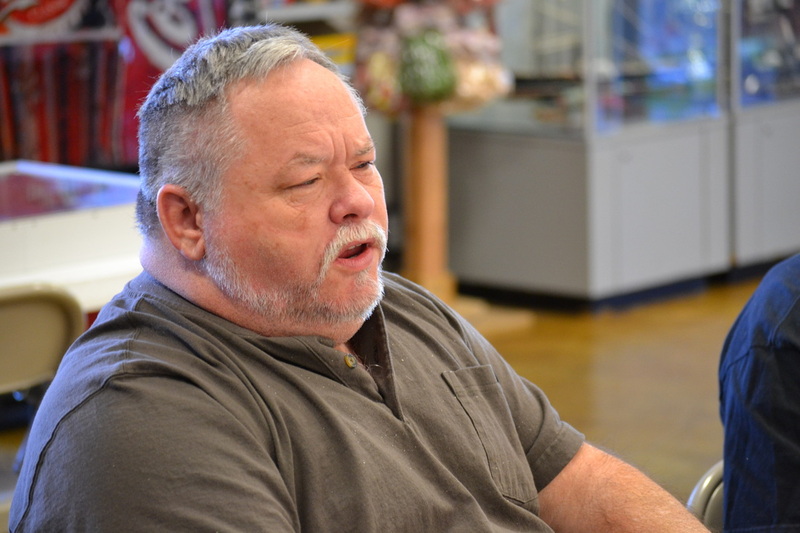 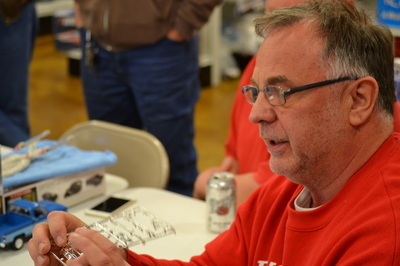 Demos: Rick Knapp is in need for demo participants. 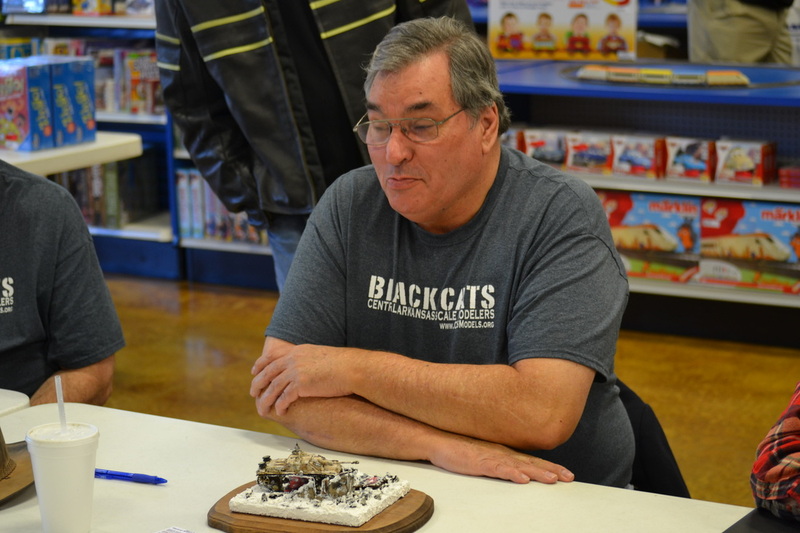 Scratching Post: Ken Childress is looking for article submissions to scratching post. River City Comic Expo- CASM will have two tables at the River City Comic Expo on August 29 at the Statehouse Convention Center. Matt Bond, Brent Bristow, Tom Brown, Ron Leker, and Rusty Nail have volunteered to work the table. 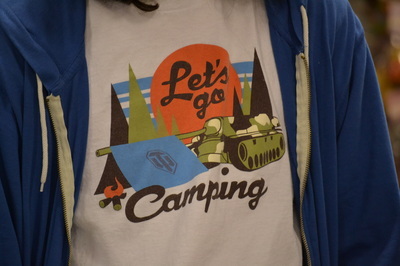 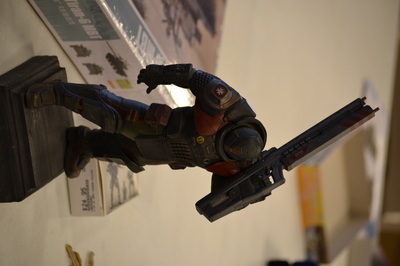 We would like to display SciFi, Horror, and Gaming models. 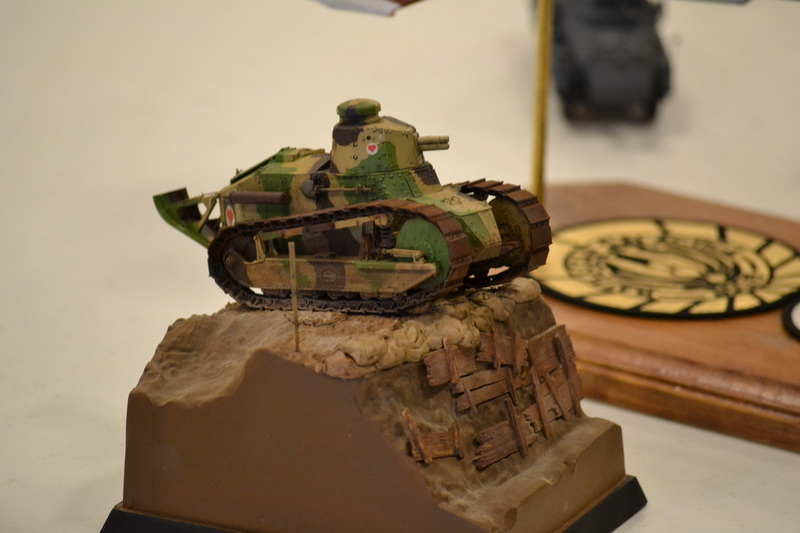 If anyone has any models that they would like to display please see Brent. 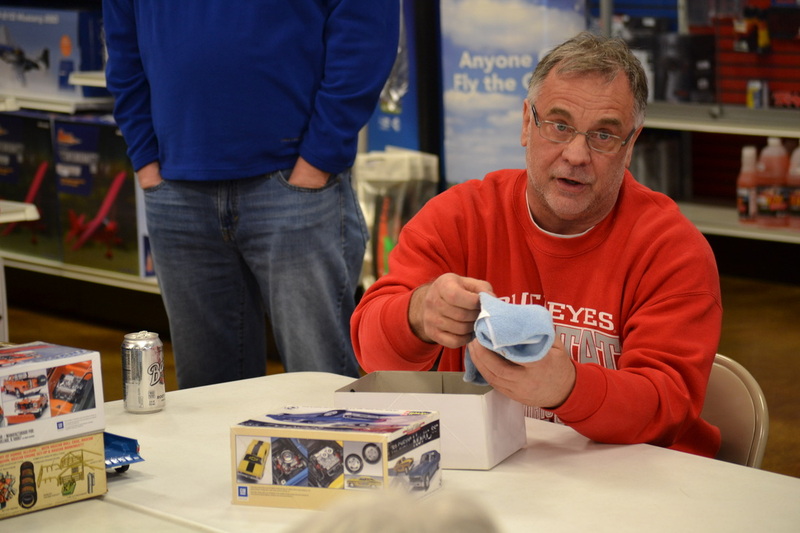 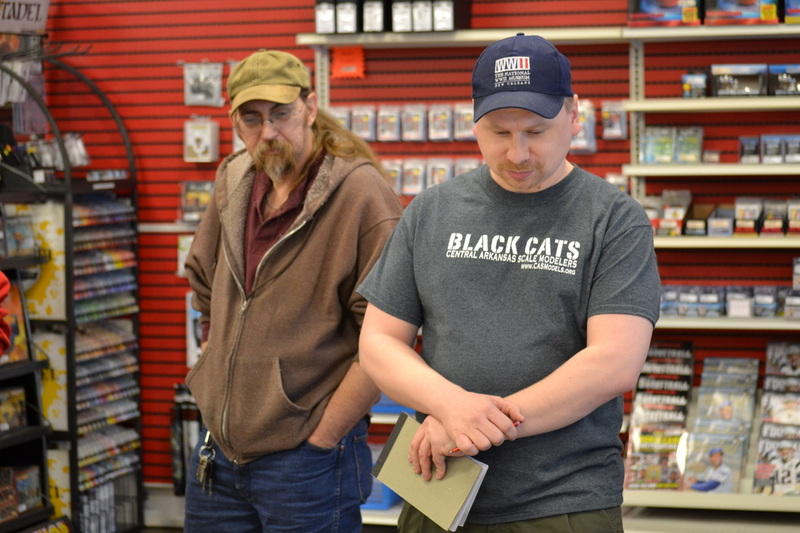 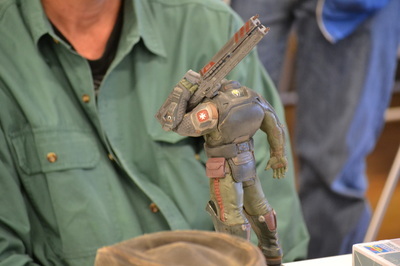 Demo: Ken presented a demo on working with Aves epoxy putty. 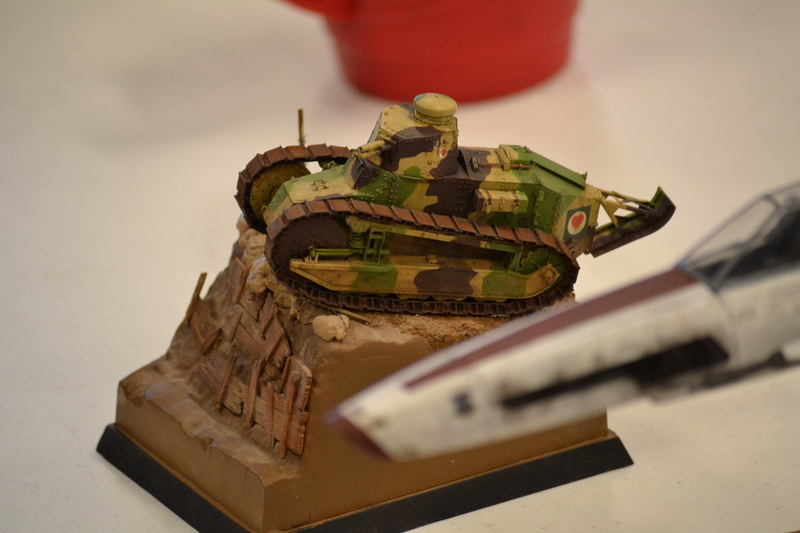 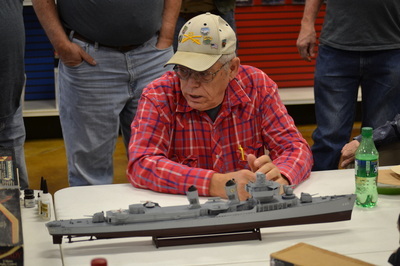 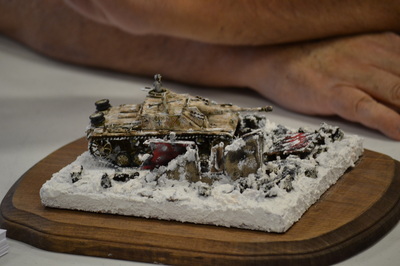 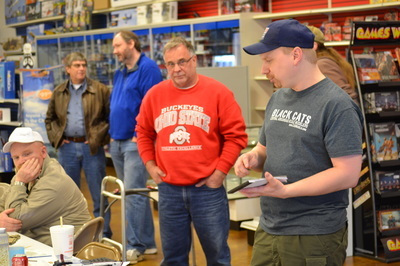 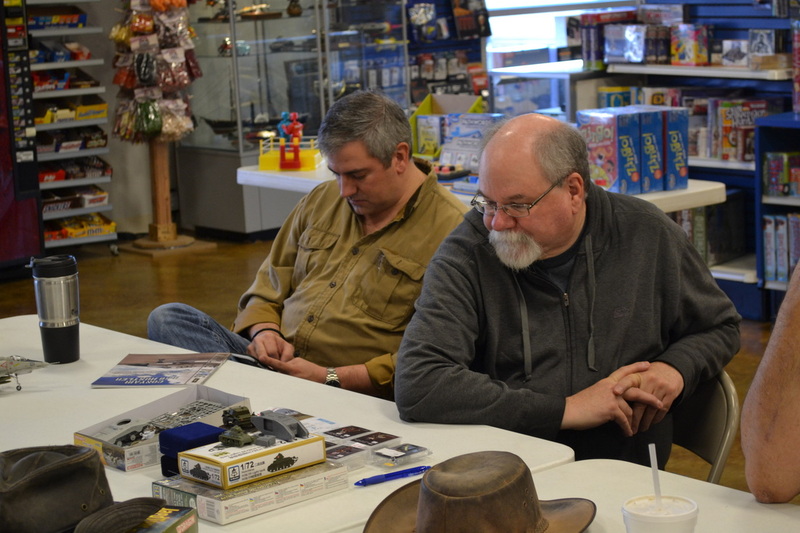 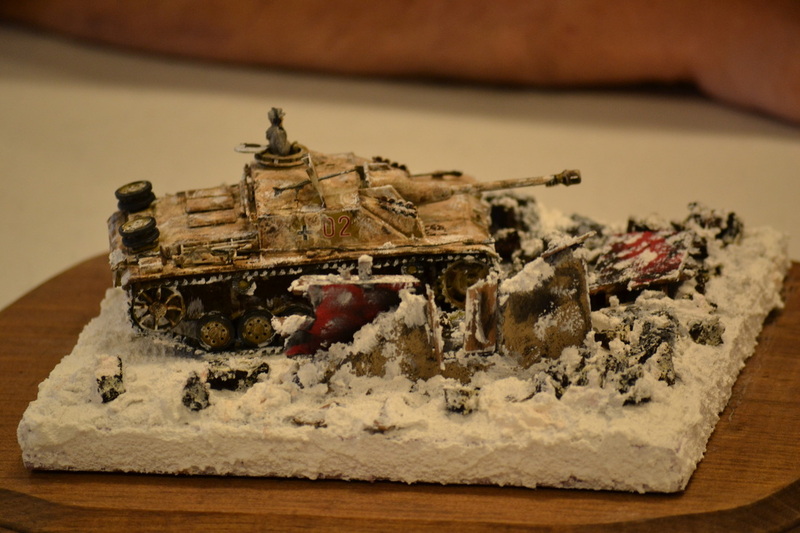 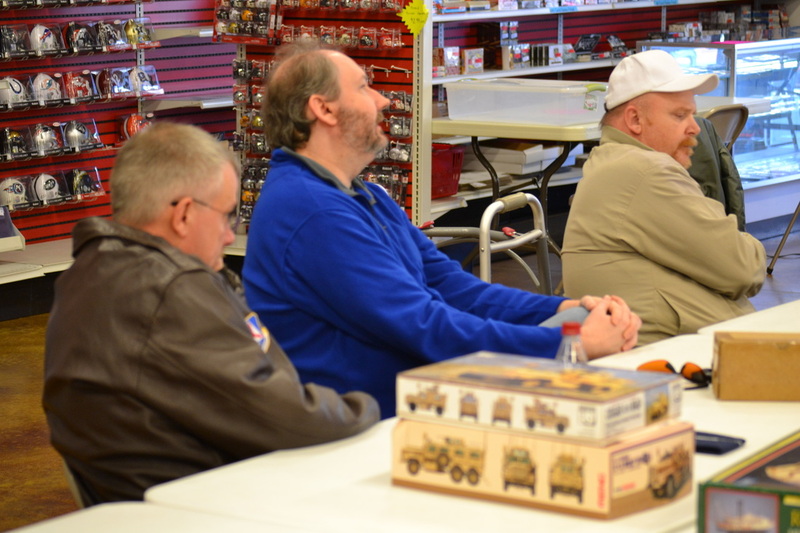 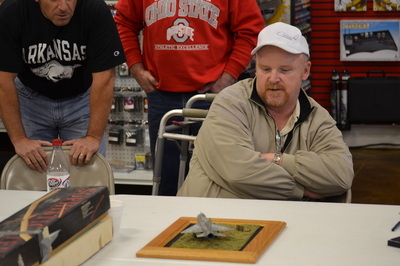 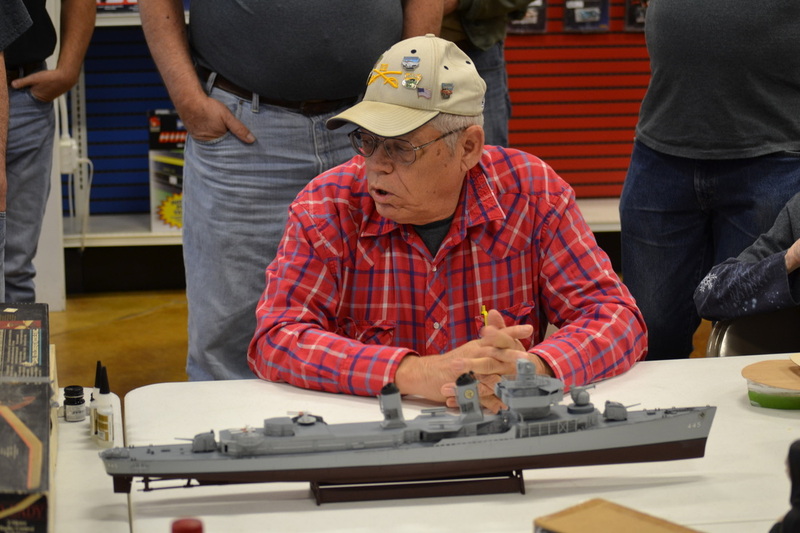 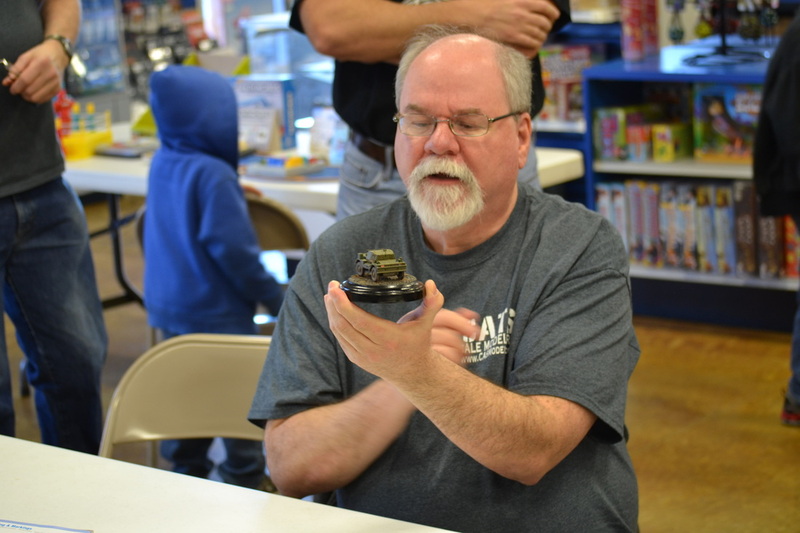 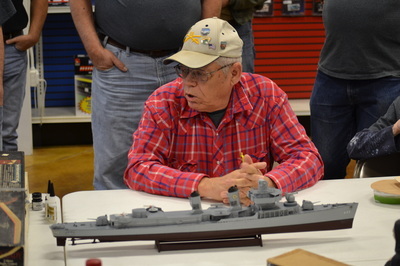 Cliff Bullock presented a Tamiya 1/48 StuG III Ausf G in a winter setting. 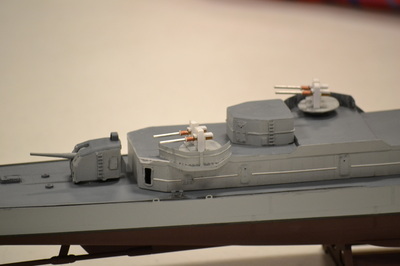 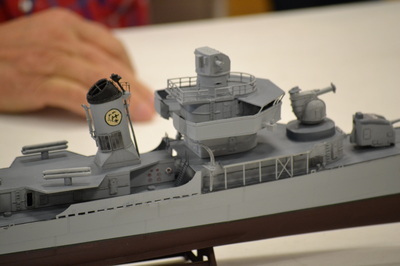 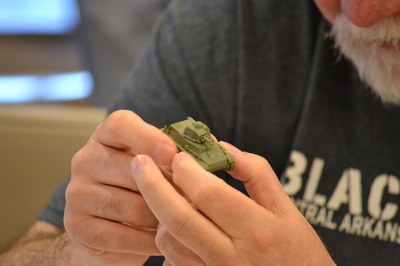 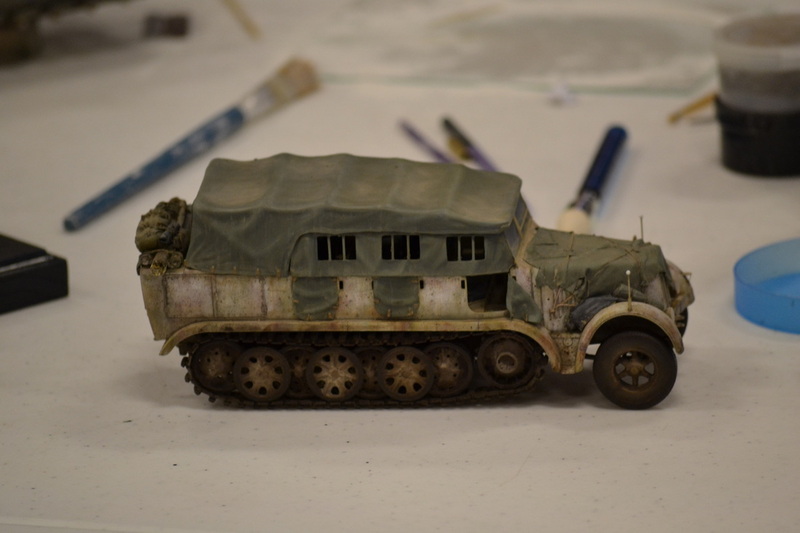 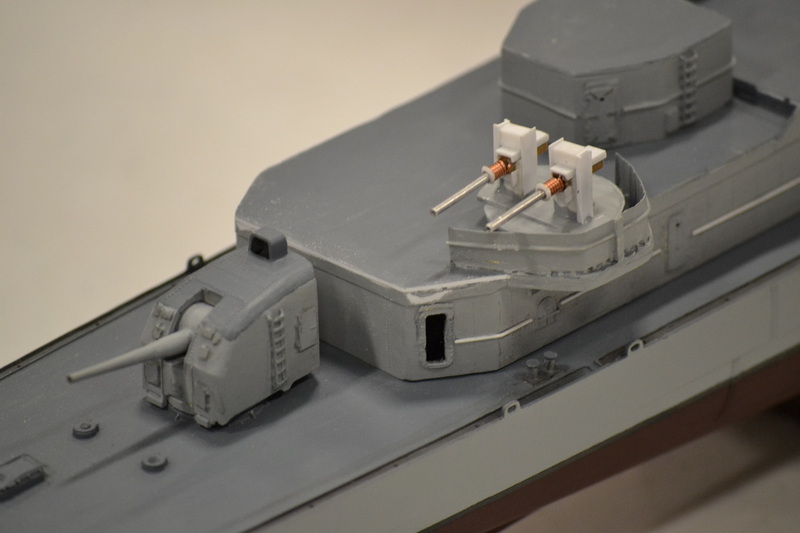 Matt Bond presented a WIP Tamiya 1/48 Sd.Kfz. 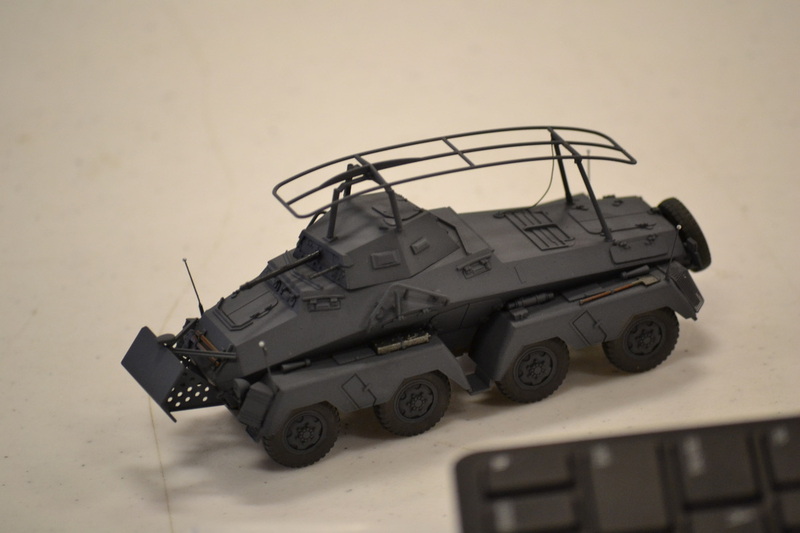 German armored car, a Men 1/35 FT-17 light tank, and a Moebius 1/32 Viper Mk II from Battlestar Galactica. 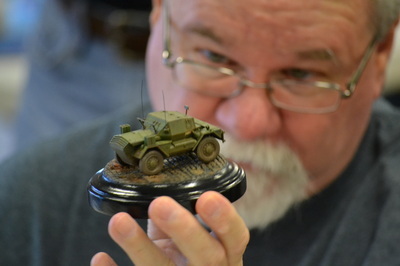 Kenneth Childres presented a Dragon 1/35 Sd.Kfz. 7 half-track with scratch build foul-weather kit, a 1/35 German RSO truck, a figure vignette, and a NIB Jeffshiu’s figure two-pack. 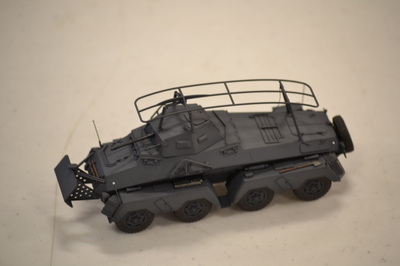 Sam Macheak presented two NIB MRAP kits. 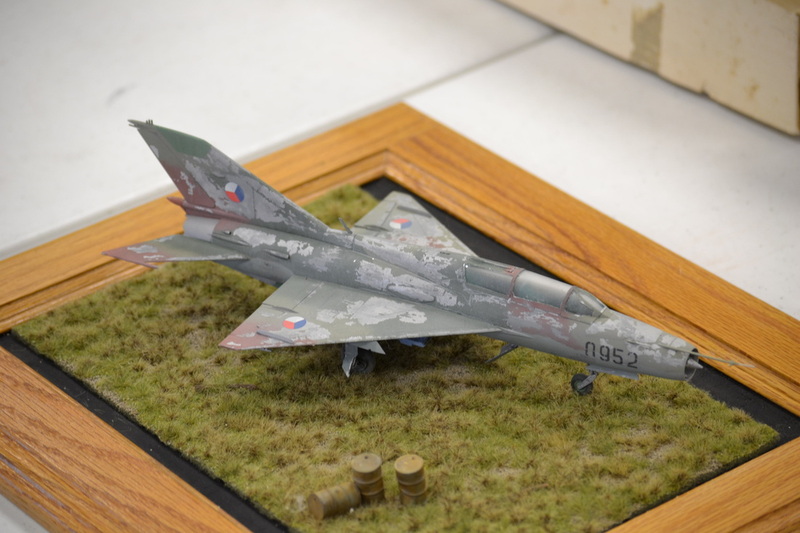 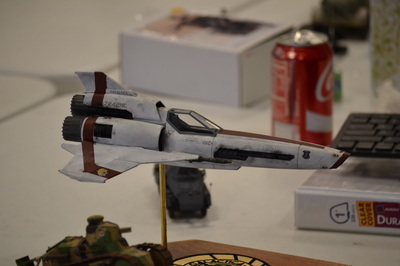 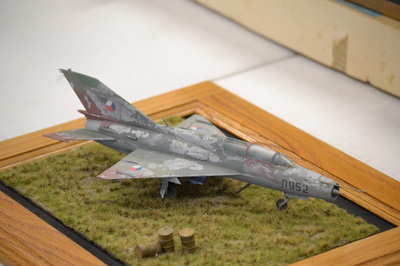 Lloyd King presented a Trumpeter 1/48 MIG-21UM. 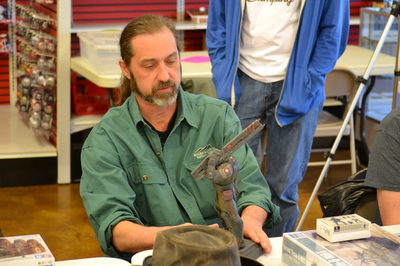 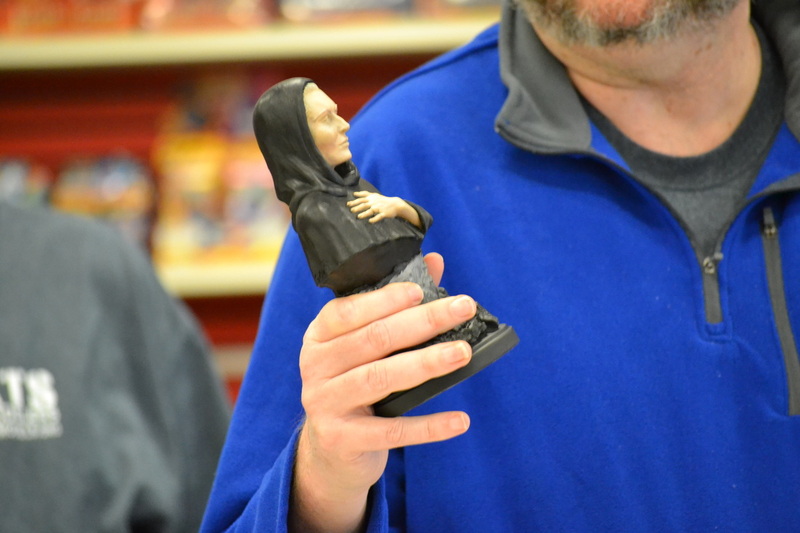 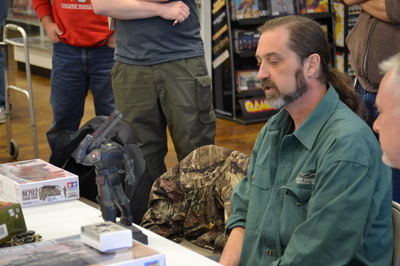 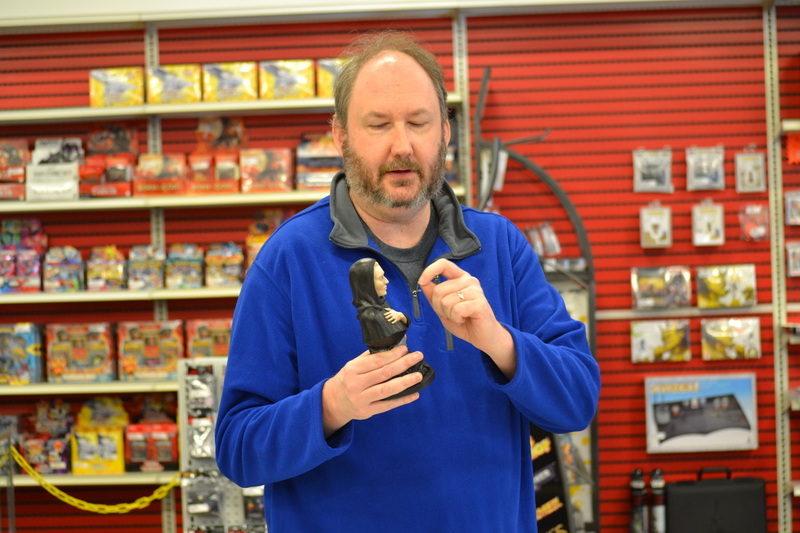 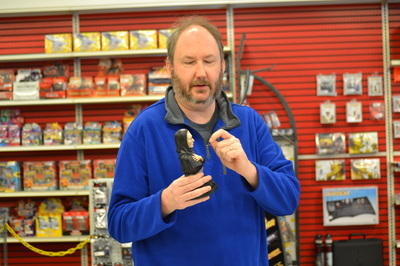 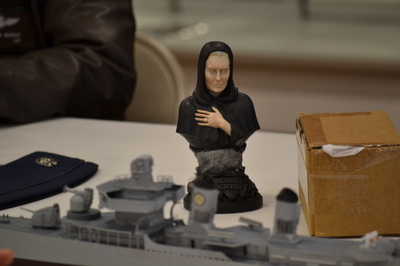 Brent Bristow presented a WIP Dracula bust. 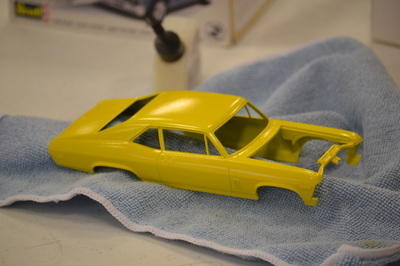 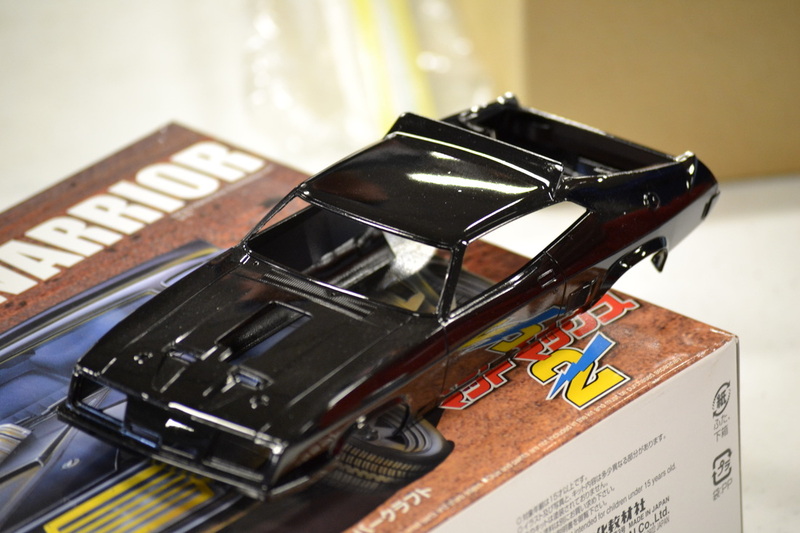 Ralph Breashers presented a Revell 1/25 69’ Chevy Nova. 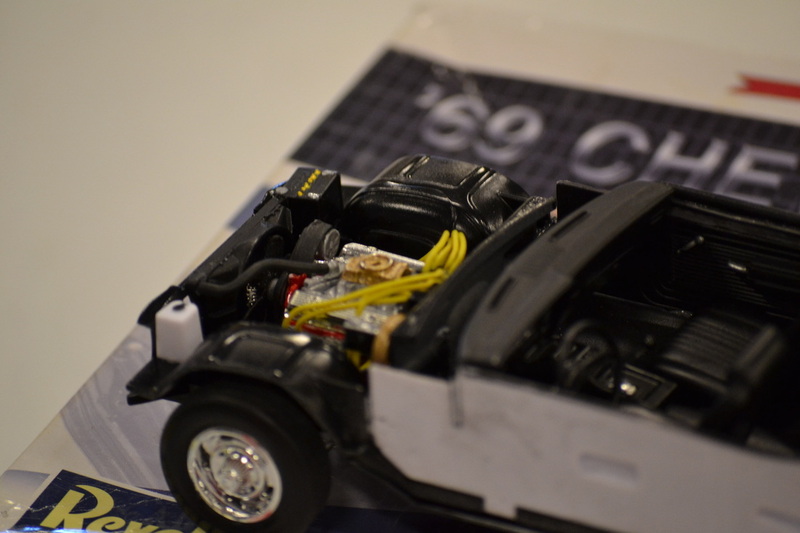 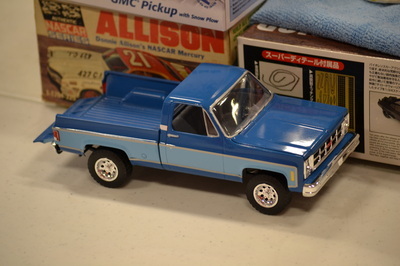 Shane Gates presented a AMT 1/2500 Enterprise E, a Revell 1/24 70’s Custom GMC Pickup (done to replicate his father's truck) and a WIP Aushima Mad Max Road Warrior Interceptor. 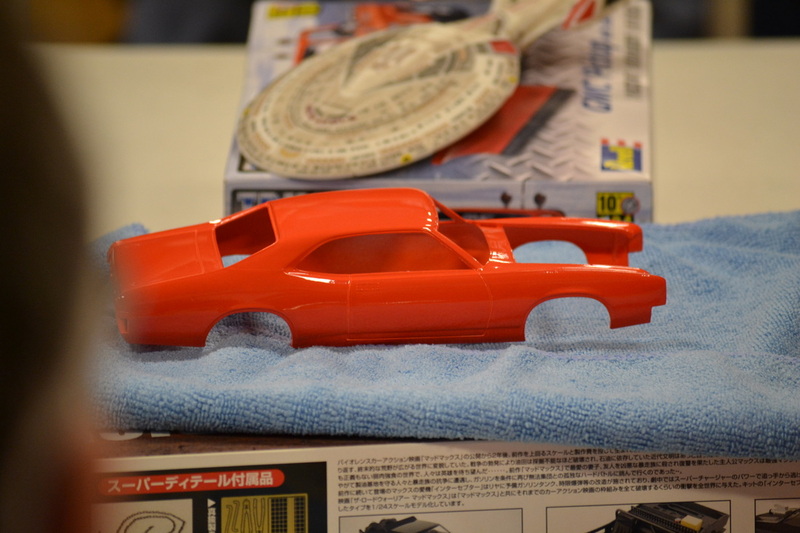 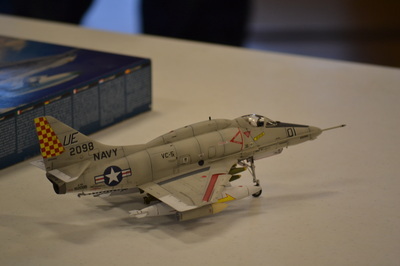 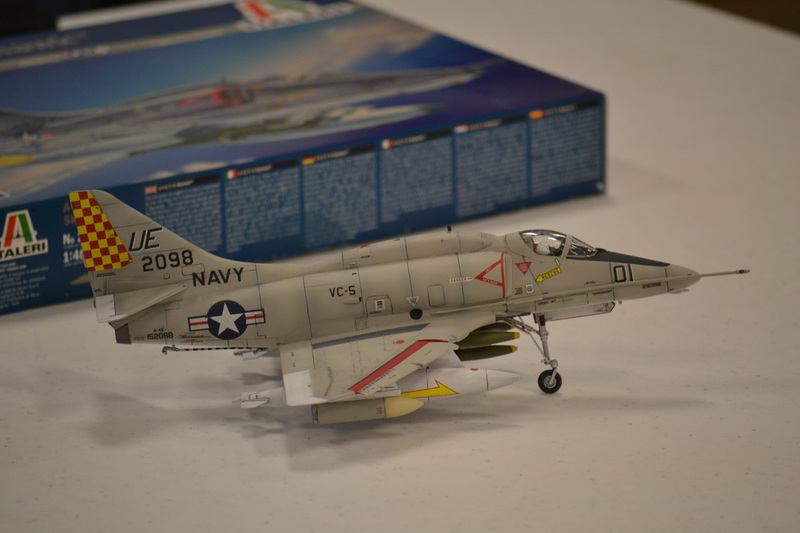 David Stillwel presented a Italeri 1/48 A4 Skyhawk.